Desert Tortoises are well-equipped to live in the harsh environment of the Mojave. Despite their hardiness, both wild and captive tortoises are susceptible to diseases that can be fatal if not treated. We’re going to take a brief look at a disease of particular concern among tortoise caretakers and conservationists. 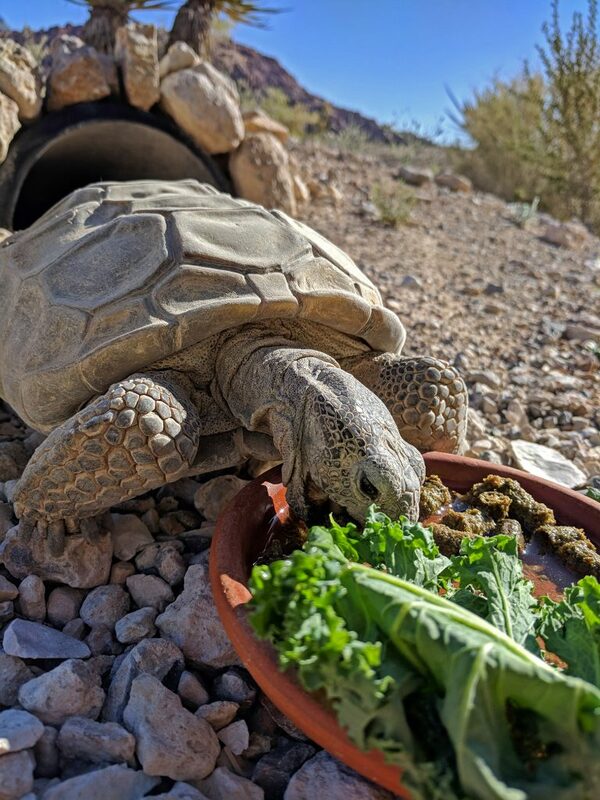 Arguably the most common disease among Desert Tortoises is Upper Respiratory Tract Disease, or URTD. It is a chronic disease caused by a bacteria called Mycoplasma agassizii (Agassizii is the Latin species name for Mojave Desert Tortoises: Gopherus agassizii). These bacteria attack the soft, moist skin inside tortoises’ nasal passages and throats, and gives them a constant runny nose. While this may not sound so dangerous, it can completely block tortoises’ nares, or nostrils. What symptoms should you look for in a pet tortoise? First of all, watch for a runny nose or clogged nares. Also keep an eye out for white crust around the nares, which can be caused by nasal discharge that has dried. Make sure to listen to your tortoise breathe. There shouldn’t be any gurgles, clicking, or whistling sounds. 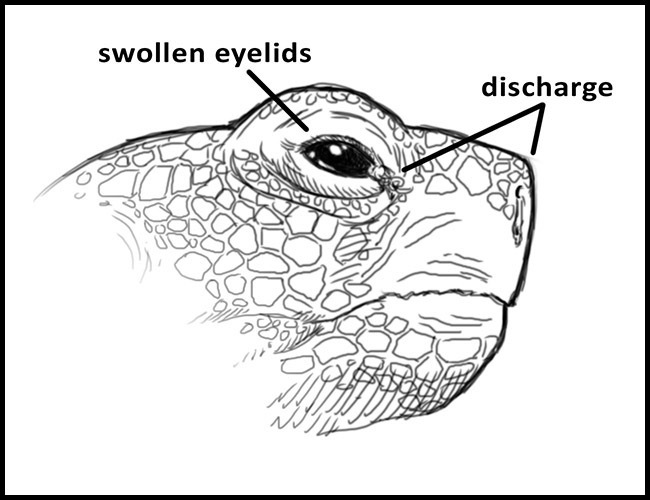 Take a look at your tortoise’s eyes: are they sunken, or are the eyelids puffy and swollen? Is there discharge from the eyes? These are all signs of URTD. Finally, if your tortoise is lethargic during a time when she should be active, this could be a sign of illness. There is no cure for URTD, though certain antibiotics can be used to treat the symptoms. If a tortoise catches URTD, he will have it for life, and it can be passed from tortoise to tortoise. This is one of the many reasons why it is so important to NEVER release captive tortoises into the wild. Wild tortoises are under more stress than captive tortoises, so while URTD might not kill a pet tortoise, it can easily be fatal to a wild one. Hopefully this information will help you care for your pet tortoise. Hopefully, one day, a cure will be found for URTD. More research is needed into this disease, and into Mojave Desert Tortoises in general. There is so much about these fascinating animals that we don’t know!